After working hard against the clock, we’ve reached an agreement that will allow us to release Kharon’s Crypt on Nintendo Switch! 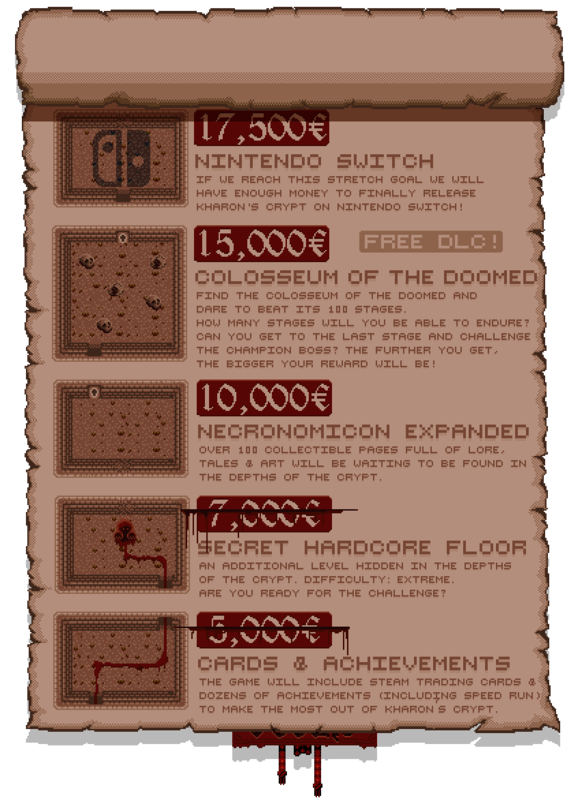 For this reason, we’re announcing that the Nintendo Switch release will be added to our Stretch Goal list. The following Tiers will not include the possibility to trade their digital copy for PC/Mac/Linux for a digital copy for Nintendo Switch: Specter of Discord, and Early Bird. Hope you all are as excited about this as we are! 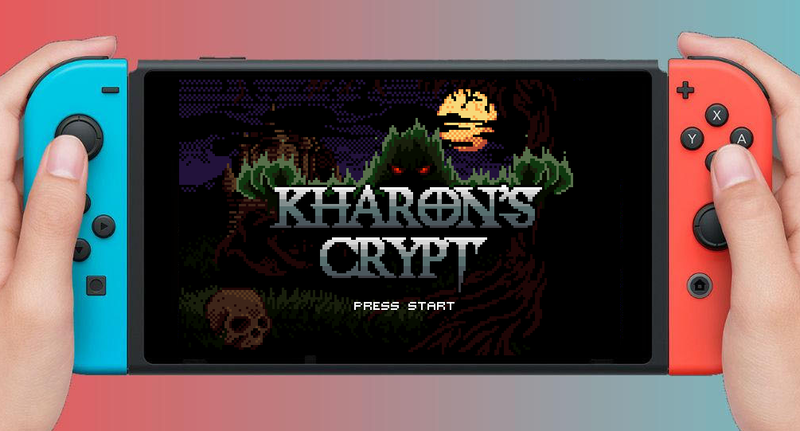 Being able to release Kharon’s Crypt on Nintendo Switch is like a dream come true for us. Please, tell your friends and help us spread the word!